I spent much of last Saturday on the train. It took a total of seven hours in transit to travel to and from Washington DC to see a touring production of a play that lasted 90 minutes. For die-hard theatre fans, such journeys may not be uncommon. But having lived in New York, one of the centres of US theatre, I don’t often make such treks to see theatre. This is especially true since the majority of touring shows emanate from Broadway, meaning that I’ve usually had more than enough opportunity to see the original versions. My motivation for heading to the Kennedy Center was two-fold. 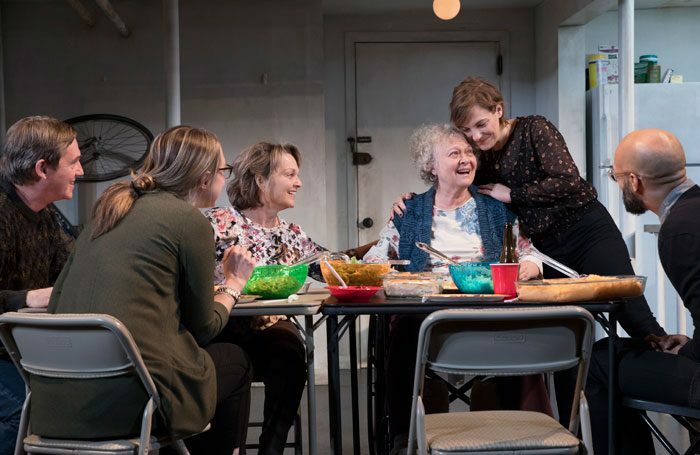 First, the play in question was Stephen Karam’s The Humans, the much admired six-actor drama that won the Tony award last year for best play. Second, and more important, was that my friend Richard Thomas was playing the role originated on Broadway by Reed Birney, for which he received a Tony award. Since I avoid theatrical criticism, I’ll just say I’m quite glad I went, personally and theatrically. My lengthy ride allowed me to muse on the subject of touring Broadway plays. Once so common and now, so far as I knew, rather rare. The Internet Broadway Database, run by the Broadway League, gave me the opportunity to determine if my assumption was correct. What did I find? Since 2010, only seven Broadway shows have gone on a national tour: The Humans, Love Letters, Blithe Spirit, The Curious Incident of the Dog in the Night-Time, War Horse, Looped, and Peter and the Starcatcher. The Looped tour played in only four cities for a total of five weeks; Blithe Spirit ran for almost four months, but in only four cities. Two other productions listed on the IBDB also toured: stage adaptations of scripts from the TV series I Love Lucy and Cheers, but those never played Broadway, and Cheers only played briefly in two cities. A representative of the League did caution that the touring data on their site was still “an ongoing endeavour” but, anecdotally, I think its recent info is accurate. I can’t get nostalgic about the decline of touring Broadway plays, because they’ve been relatively rare for many years, with touring musicals dominating the schedules of presenting houses around the country. This reflects the comparable imbalance between new plays and new musicals on Broadway, with plays running far behind in annual statistics. Of the fifteen shows scheduled to open before the end of the current Broadway season, seven are play revivals. The only new play is Harry Potter and the Cursed Child. Instead of touring, the new plays that do break through end up generating multiple productions in regional theatres – often dozens in the first year or two that they’re available. In fact, many terrific new plays have long lives in regional theatres without reaching Broadway, although being showcased in an Off-Broadway production boosts a play’s familiarity and status. Some plays, like those of Lauren Gunderson, America’s most produced playwright of 2017-18 according to American Theatre magazine, don’t even need to run in Manhattan. So plays do get seen, and the theatrical ecosystem has evolved accordingly. America’s regional theatre movement really took off in the 1960s. Ironically, at the start it was focused on classic plays, which had become increasingly rare on the touring circuit, as Broadway remained the progenitor of new plays for a while longer. When it comes to plays now, the situation is reversed, with America’s not-for-profit institutional theatres serving as the incubators and first producers for new plays and even new musicals as well. The diminishment of new plays on Broadway and on tour demonstrates where America’s commercial theatrical priorities lie. While it is unfortunate that plays don’t often get the kind of national acclaim they did in the past with Broadway debuts, at least the regional theatres have more than taken up the slack. They have given countless new plays life while sustaining the careers of those who focus on words without music. Numerous plays have explored America’s political figures with great success, ranging from Sunrise at Campobello to Frost/Nixon and All the Way. Rogelio Martinez’s Blind Date joins that company when it opens on Monday in its premiere at Chicago’s Goodman Theatre. Robert Falls directs the work, which explores the relationship between US president Ronald Reagan and Russian premier Mikhail Gorbachev, making us long for the days when US leaders wanted walls torn down. Terrence McNally’s oeuvre is replete with shows that explore his passion for opera, most notably The Lisbon Traviata and Master Class. For his newest play Fire and Ice, which debuts on Thursday at Off-Broadway’s Classic Stage Company under John Doyle’s direction, McNally finds his inspiration in another classical art, ballet, as he examines the dynamic between Diaghilev and Nijinsky with a cast that includes John Glover, Douglas Hodge, Marsha Mason and Marin Mazzie. Mark Shenton: Is The Grinning Man part of a new golden age for West End musicals?